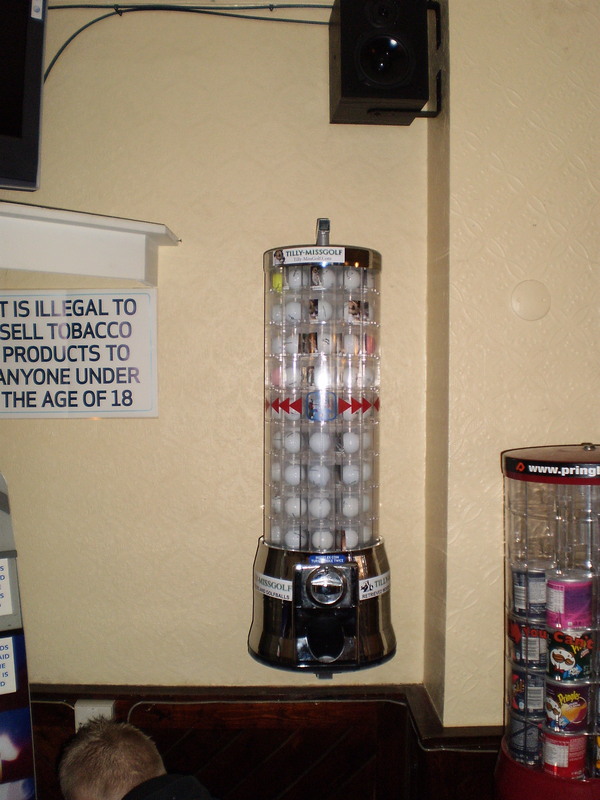 Interest in the vending machine causing me some happiness if things go to plan they could be all over the country.Order your machine and let me show you how golfers just love it. Have it your way the choice is yours. How many Calloway in the can? 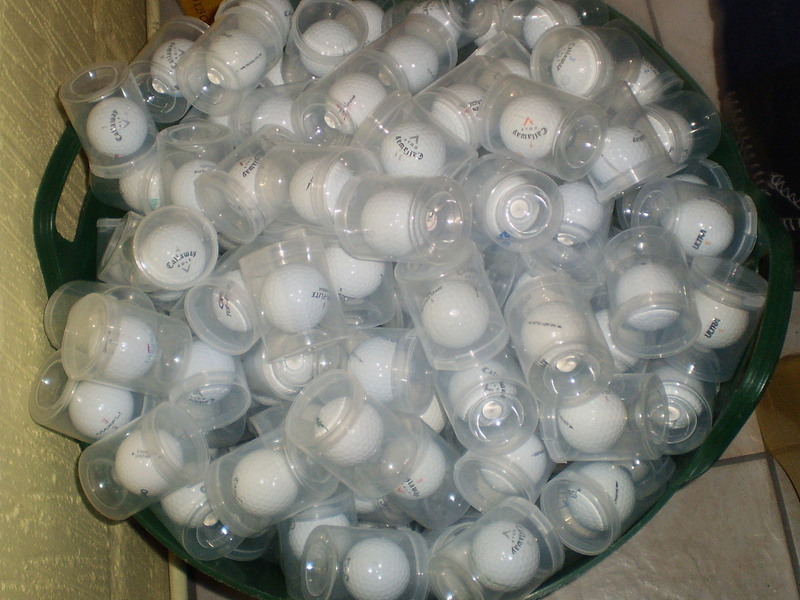 How do you buy your golf ball. 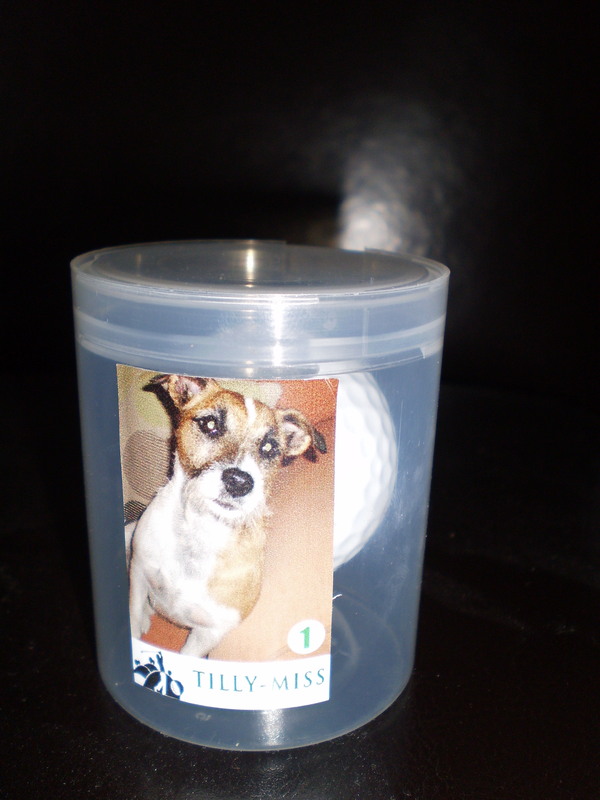 We have introduced the golf ball in a sealed can featuring a variety of pictures from the famous dog tilly-miss. This morning we find 40 balls. A lovely morning walk through the woodlands with tilly and i told myself not to bother picking up any golf balls today,within minutes there is a ball at my feet provided by tilly a nice white Bridgestone gleaming in the sun followed by more laying all round me…thats it cannot help myself i have to start picking them up,soon we are filling a bag with some quality name balls. 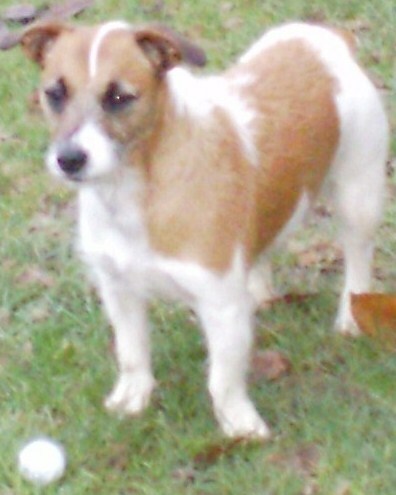 Now bear in mind we hoovered the walkway late yesterday afternoon and felt happy that nothing was left so what a surprise to find so many once again….where are they all coming from?…i just do not know,at tilly HQ we are now in fear of the lady in the house? they are littered everywhere and i know for a fact it wont be long before she is going to start her tantrums about them,so time to have a tidy up whilst she is out i think..wish me luck…back later. We find our first Heart. What a lovely surprise to find our very first Penfold Heart sadly not a white one that i was hoping for but quite happy to settle for an Orange ball. Have been looking for the heart for a long time and contacted penfold asking for a sample ball for a tester in my vending machine,but sadly penfold didnt think i was important enough to give a free ball to so maybe i should change my name to Bond? 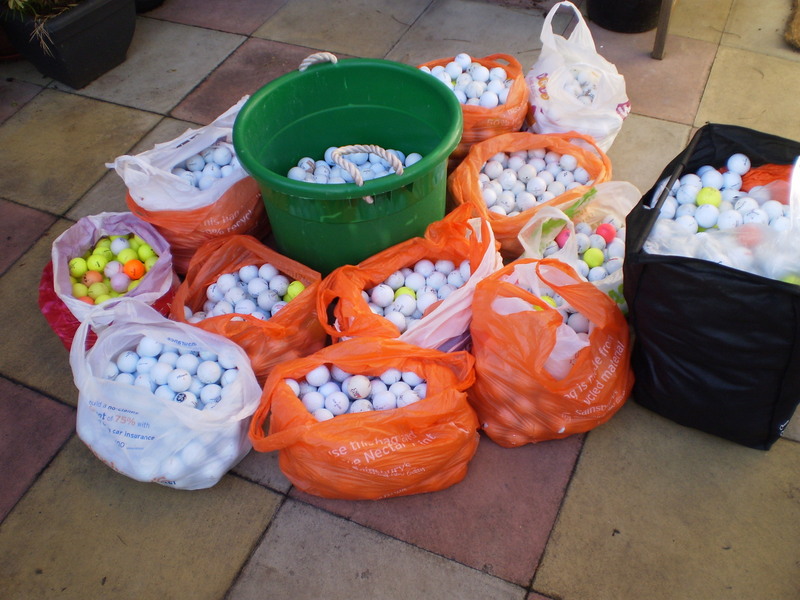 Good morning had today,we went walkabout and retrieved so many very good Srixon balls my wash machine is full to the top where do these balls keep coming from? 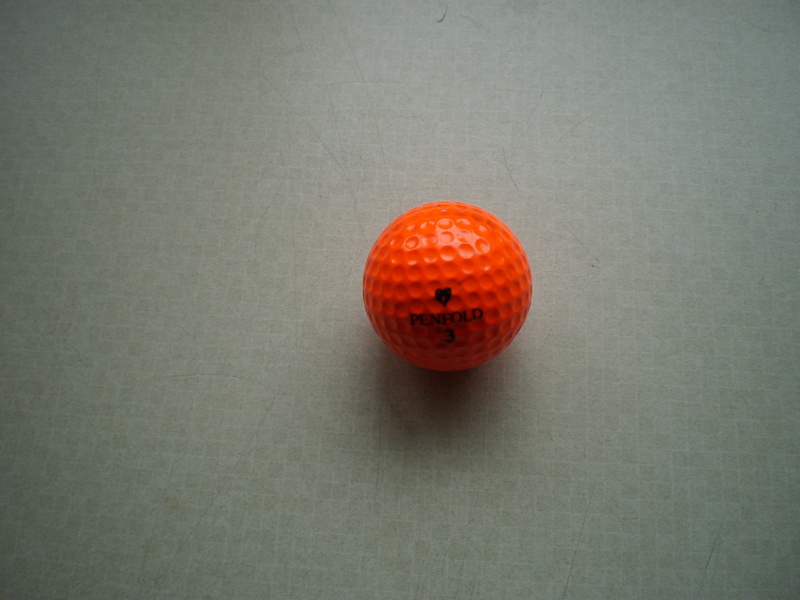 money obviously means nothing to golfers in these hard times,were finding so many abandoned on course and in the woodlands…are golf balls really that cheap that they can be discarded so easily or is it that golfers are lazy and cannot be bothered to find them..whatever thank you they make me very happy. 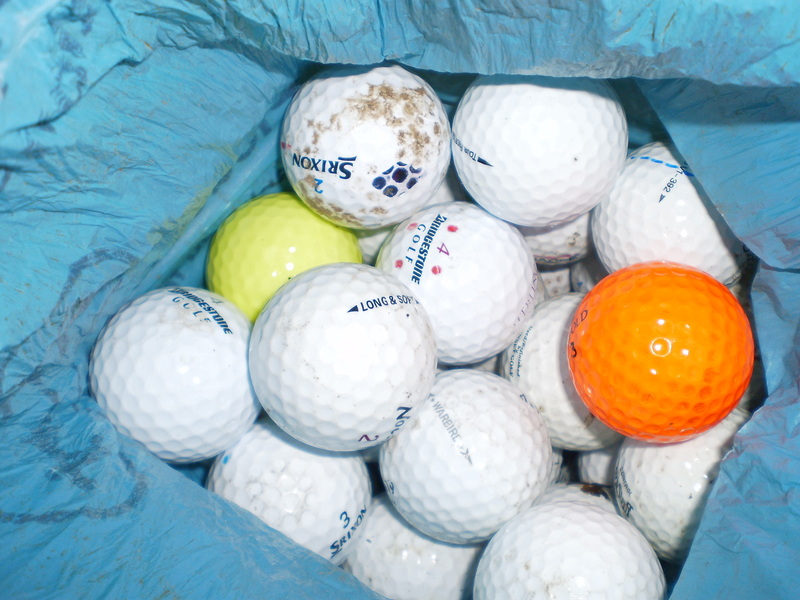 That is it for today we just got home soaked through and tilly-miss is filthy dirty,we slipped out for an hour and it seems worthwhile as we retrieved 51 balls lots of Srixon starting to be found but they will not catch the Nike ball that has been in great supply this week we are getting lots of Nike for some reason. So now i will shower and then make my way to my friends pub in Eton Wick “The Three-Horseshoes” for a great night drinking and catch-up with friends. You are currently browsing the Tilly the Golf Ball Retriever Dog blog archives for March, 2010.